11 Trending Landscape Photos That Will Ignite Your Wednesday! But trust me when I say...these images will truly leave you stunned. 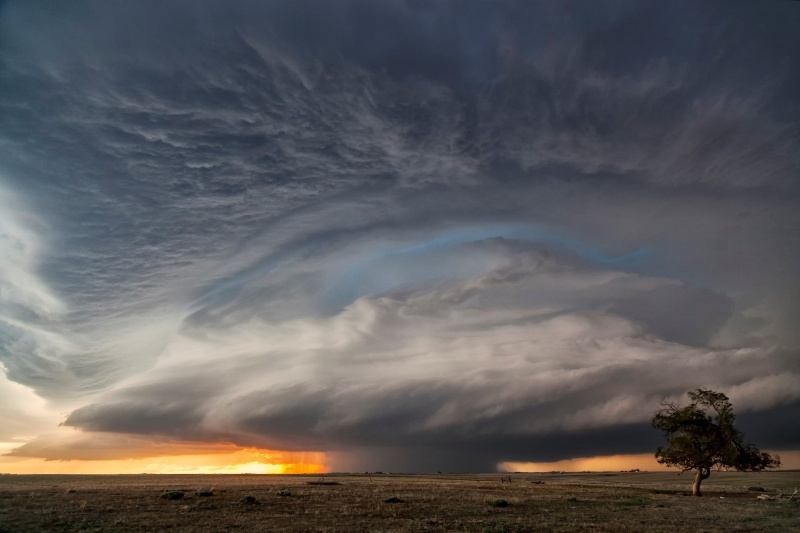 From the plains of the US to the forests of Poland and everything in between, these landscapes represent some of the most gorgeous shots we’ve seen as of late. Better still, each of these photos isn’t just beautiful. Each of them represents a critical lesson in how to create a gorgeous landscape. So, with that, have a look at these stunning shots, enjoy their beauty, and learn a little something about improving your own landscape shots at the same time. In this epic shot, Paweł beautifully demonstrates how changing the perspective from which you shoot can completely change the image you create. 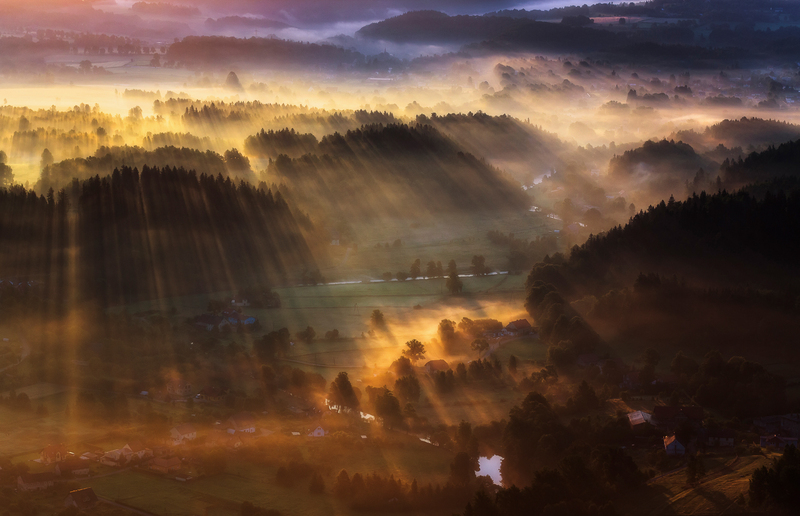 By getting up high, he was able to capture the beautiful interplay between the morning light, the fog, and the trees that dominate the landscape below. The result? A gorgeous view of the shafts of light as they begin to bathe the landscape in illumination. Talk about an inspiring photo! 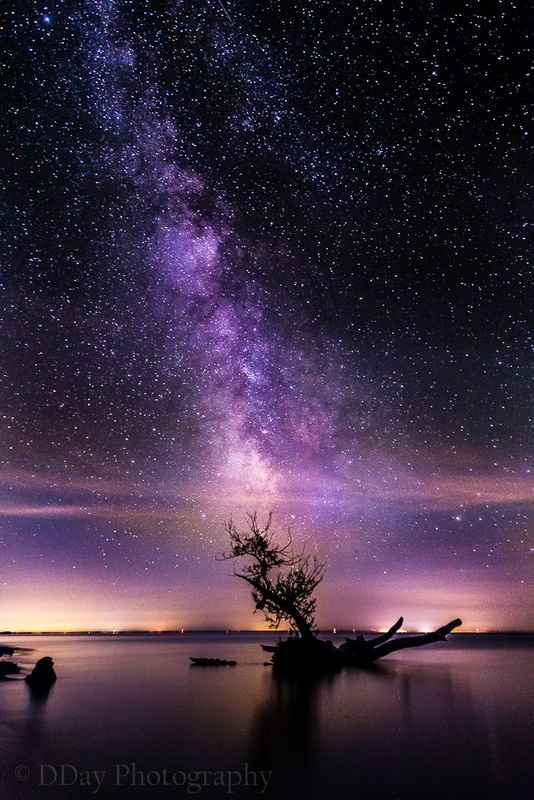 Doug certainly shows us the way with this incredible shot of the night sky. Not only does it highlight the beauty and depth of the star-filled sky, but Doug shows us how to use foreground interest to bring more attention to the primary subject - the tree reaching for the stars as an ideal leading line. Notice the glow of the city lights in the background - that’s a nice touch as well! Ryan shows us how a unique perspective can completely make or break a shot. 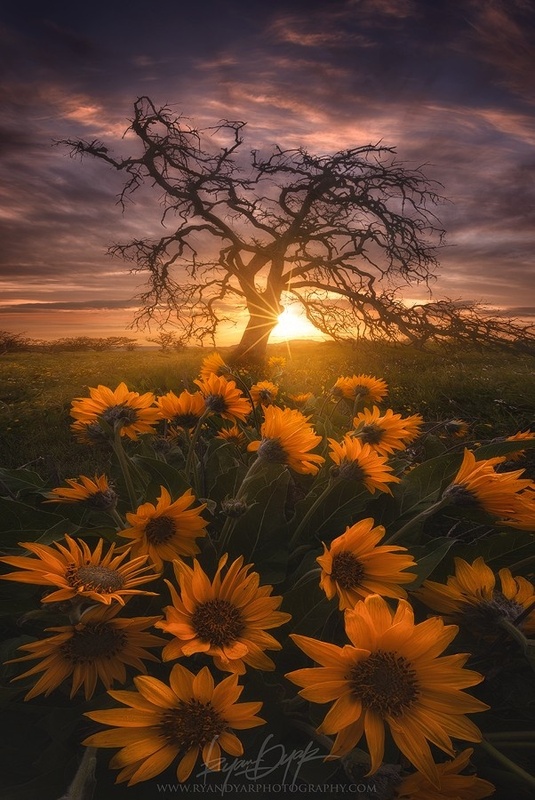 In this instance, getting down low not only helped Ryan incorporate the beautiful flowers into the foreground of the shot, but it also helps make the primary subject - the tree - appear more imposing in the frame. There’s something to be said for the softness of the image too, which plays nicely against the harsh, jagged lines created by the tree’s branches. This photo is a prime example of how if you look for an unusual subject, you might just find it! 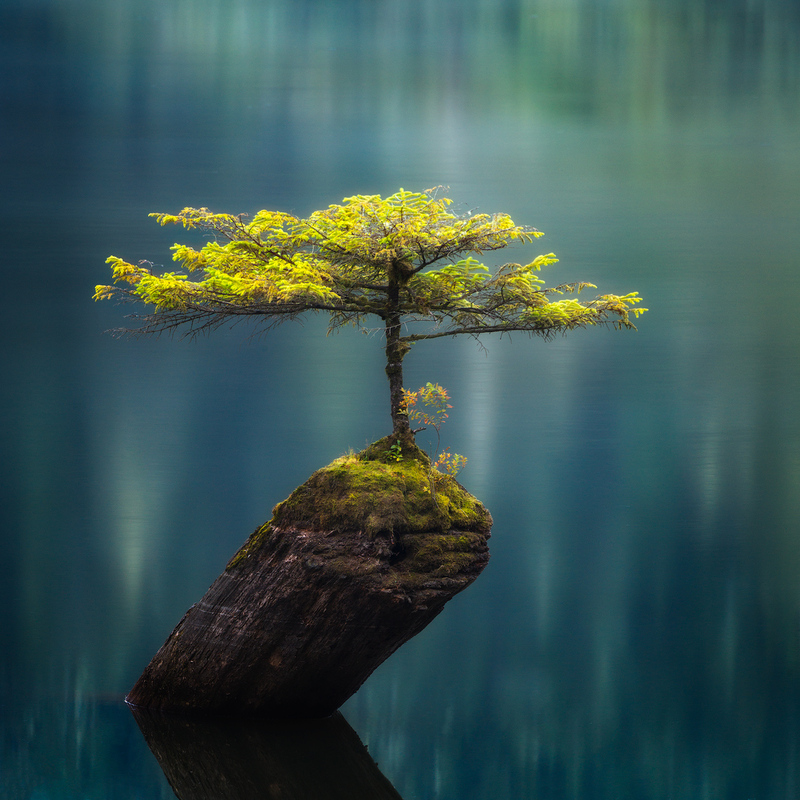 Alister Benn discovered this small sapling growing right out of the remains of a fallen pine tree. The gorgeous, even lighting illuminates the sapling beautifully, and the perfectly still waters that surround it act as ideal negative space to keep our attention on the small tree. Gorgeous work! In this image, Gabriela shows us how to combine a wonderful portrait with a wonderful landscape shot. 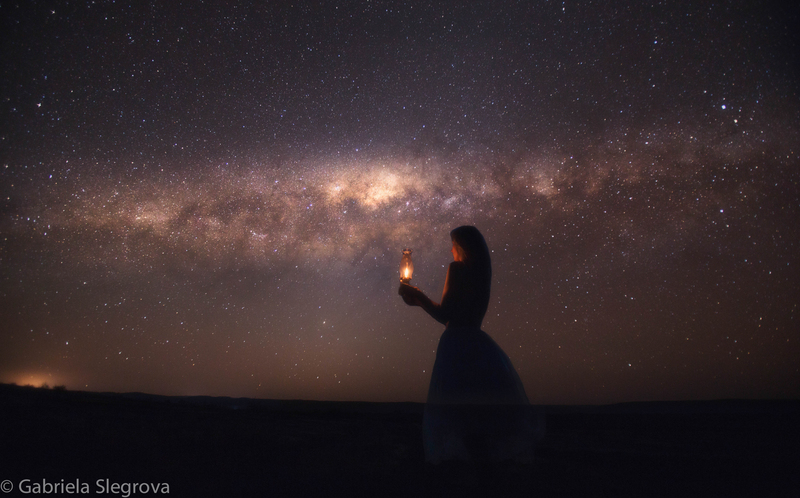 Though the girl with the lamp - who has a haunting quality about her - is the primary subject, placing her in front of something as spectacular as a star field ramps up the visual interest to another level. Doing so gave this shot a wonderful mood - one of wonderment and mystery that’s hard to top! If you ever needed any inspiration for how to compose a landscape shot, look no further! Trevor Anderson masterfully incorporates the slick, texture-filled rocks in the foreground to make this image even more eye-catching. The wet, glistening foreground rocks also offers a nice contrast with the muted appearance of the rock formations in the distance. And those colors in the sky...wow! This photo is aptly titled, as the dry desert surface just seems to melt into an infinite space beyond our view. 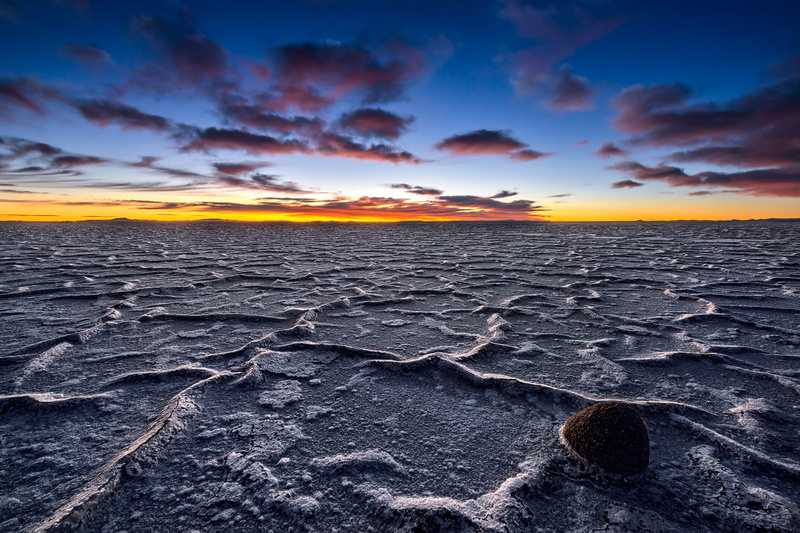 By heading out in the early morning hours, Artur was able to capitalize on the low angle of light to bring greater attention to the salt formations on the surface of the ground. Pairing that with a low shooting angle gives us a prime view of the beautiful texture of the surface of the ground. Next time you’re shooting a landscape, consider adding texture to give the image greater depth and interest as Artur has done here. Winter landscapes are some of the most difficult to capture well, simply because of the complexities involved in getting a proper exposure and good white balance. 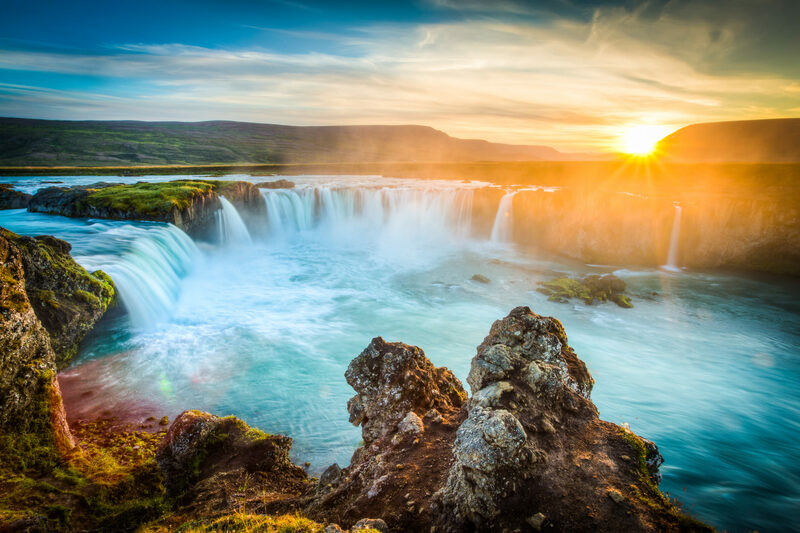 Yet, Daniel gets both just right in this glorious long exposure of Goðafoss. The gorgeously blurred waters combined with the desolate landscape beyond create a feeling of solitude and calm. And, the morning colors of the sunrise add an interesting dynamic to the shot, especially when compared to the cool blue tones of the pool of water in the foreground. When photographing a sunset, doing so with water to occupy much of the shot gives you an opportunity to create an image with an explosion of color. 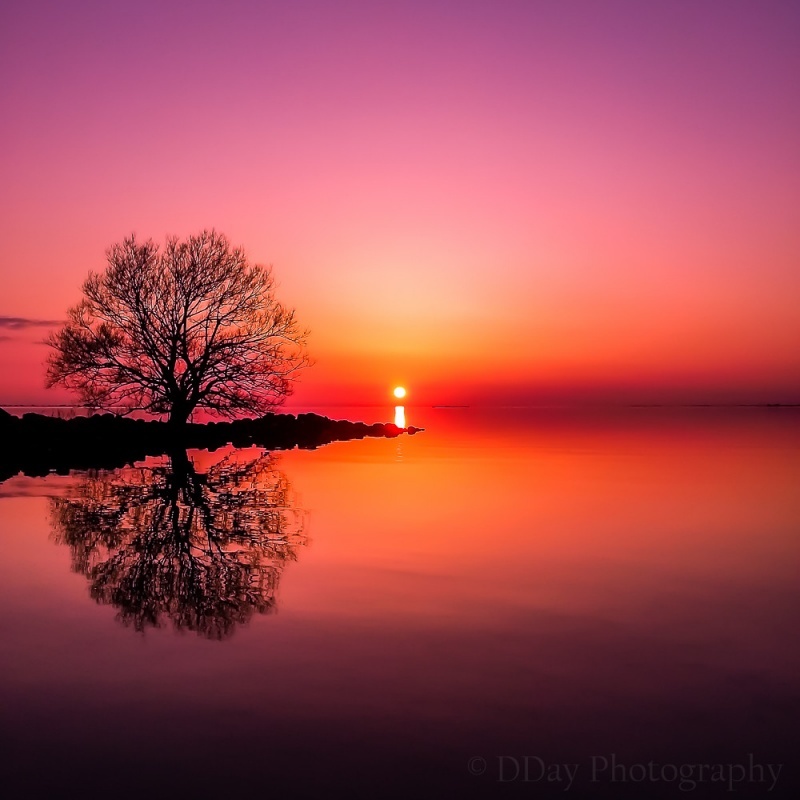 Doug mastered this technique perfectly with the highly saturated colors of the sky beautifully reflected in the water below. But, notice how Doug incorporated a little landscape to add interest and break up the deeply saturated colors. Doing so adds a bit of dynamic range, and also allowed him to highlight the shape and structure of the tree. As Alister says in the description of this photo, this was a perfect storm of the Northern Light, a full moon, and loads of snow. 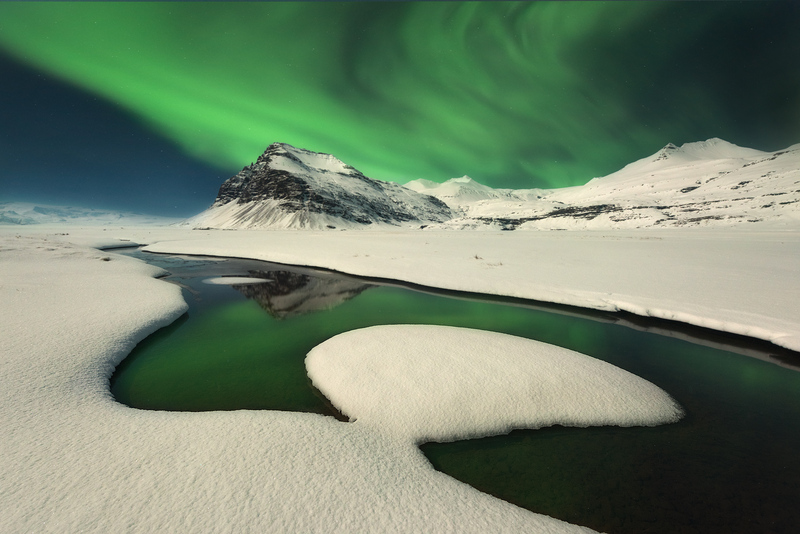 The brightness of the moon offered a wonderful glimpse of the snow-covered terrain, with the light from the Northern Lights gorgeously reflected in the waters below. By placing the horizon roughly in the center of the shot, Alister also managed to create an image with tons of foreground interest while still putting the Northern Lights on full display. It all comes together well in this stunning shot! Chasing storms is a popular activity for many weather lovers, but it’s also a popular activity for photographers, and Caryn shows us why. The swirling cloud formations above give the sky an incredible amount of texture and detail. The 24mm lens Caryn used helped her capture the vastness of the storm above while also incorporating enough of the landscape to provide some context of the size and scale of the scene. The colors of the sunset peeking out from behind the rain on the horizon are a nice touch too! 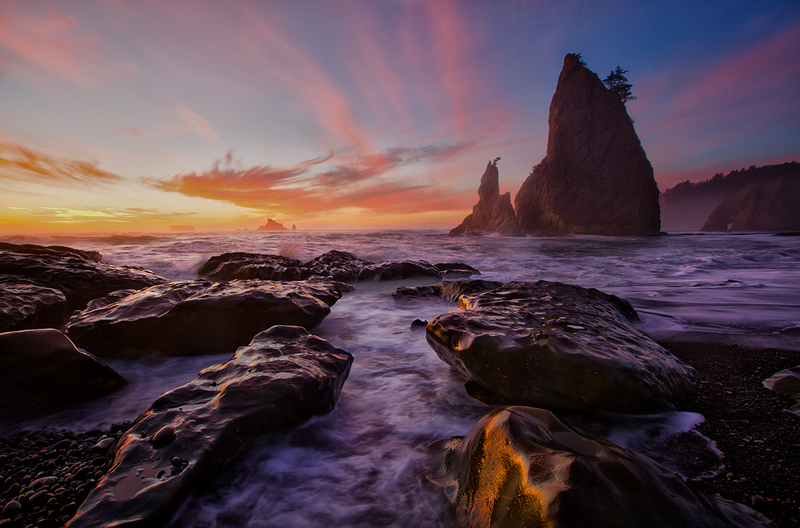 Have these photos inspired you to take your landscape photography to the next level? If so, upload your photos to our galleries! Our editors scour the galleries on a daily basis looking for images to feature in articles like this. 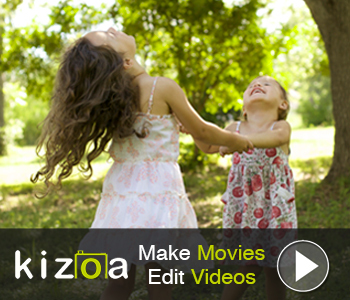 Your photo might just be the next one we show off to the community! Show us what you’re made of...head out into the great outdoors, capture some gorgeous photos, and show us the results.